Do you want make $1000 a month blogging (or more)? If you’re working towards building a profitable blog you probably feel like you’re on a never ending treadmill of blogging tasks. Despite what others may have you believe, running a blog is HARD work, requires a lot of commitment, and most importantly does not (usually) get you rich quick. I know there are examples of over-night success, but I’m here to show you the strategies I’ve used to slowly build an equestrian niche blog that makes a profit on my limited part time blogger schedule of less than 10 hours a week. The goal is to increase the likelihood of making money blogging, while managing your time as efficiently as possible. Getting burnt out from daily tasks, without seeing the expected result, is the reason most bloggers quit. Unfortunately, this usually happens after they’ve done the hardest part (getting started) and have already laid the foundation for a successful blog. They just don’t know it! Once the excitement wears off, it may seem like you’re working for nothing, especially if you’re focusing on results from more experienced bloggers. (you can find mine here), don’t get too hung up on them. Every blogging journey is different, so it’s important to focus on what you can achieve based on your own schedule, skill set and experience. Know that working within a 10 hour a week (or less) schedule may slow your growth, but it certainly isn’t impossible to make your income dreams become a reality. Take Action: Set 1 goal to achieve this week, 1 goal to achieve this month, and 1 goal to achieve this year. With a tight schedule you need to make ever second count. For me, that means lumping similar tasks together each day of the week to maximize my time. For example, several mornings a week I select one older blog post (or publish a new guest post) from Savvy Horsewoman, and spend about 15 mins promoting it. This includes sending a push notification, pinning/scheduling with an updated graphic, description or hashtag and posting it to my niche Facebook Group and main page. One Mondays and Thursdays I also send out an email to my subscribers with a link to the post. Now that I’ve perfected this routine, it’s quick and easy, and insures that I’ll continue to have traffic coming in (and therefore revenue) even if I don’t have time to create new content. I also keep specific days scheduled for tasks that may take more time. Tuesday – Promote one piece of content, engage on Facebook, begin to research/write/edit a new post, respond to important emails. Wednesday – Promote one piece of content, continue to research/write/edit a new post, respond to important emails. Friday – Respond to all emails and miscellaneous tasks. Saturday – Promote one piece of content, research SEO, check analytics stats and affiliate accounts. Sunday – Schedule Pinterest/Instagram posts for the week. This schedule helps to keep my bases covered, without going crazy! Take Action: Write down every aspect of your blogging schedule, and see how you can make your week more efficient. Thanks to the guest bloggers on Savvy Horsewoman, I’m able to publish several new posts a month, that only require about 45 mins of my time (for editing, creating graphics, and promoting). I love publishing a wide variety of content written from different perspectives, and I’m so grateful for every post that is submitted. 1. Google SEO – Play the long game and do the research to make sure that every post has keywords or phrases that will have a shot at the first page of Google eventually. Ranking on Google is a slow process that can takes months, but it’s worth the steady stream of traffic you’ll gain over time. When you’re ready to take your posts to the next level, I highly recommend checking out PotPieGirl’s training guides, particularly Blog Post Mechanic, The Keyword Myth, and The Ultimate Blog Post. Find them all here. 2. Affiliate Links – Every post should tie into a product that could benefit the reader (and also generate income). In some cases, that might be a simple text link, and other times it’s a more in-depth review. Try to picture which products they might be interested in after reading your post, and make sure to be the one to send them there. If you’d like to learn more, Making Sense of Affiliate Marketing with Michelle Schroeder-Gardner is a great choice. After taking this course, adding a passive income stream your blog is a piece of cake. Michelle earns over $50,000 a month through affiliate marketing, and she shares all of her best tips in this step-by-step course (it helped me earn an extra $1000 last year!). Get started here. 3. Pinterest – For many blogs, Pinterest generates the most traffic, so it’s definitely not something to ignore. Create at least one pin-able graphic for every post, and be sure to get it out there to your own boards, group boards and tribes (I use Tailwind to do this with just a few clicks! See details below). Not sure how to get started? The Making Pinterest Possible eBook from The She Approach teaches you everything you need (plus lots of cool bonuses). Get it here. By using these 3 guidelines, you can maximize your traffic and income, without getting burnt out from writing. Take Action: Create a checklist of goals for every post. Don’t hit publish until you’ve got it all covered. Having some of the daily tasks for your blog running on autopilot is a huge time saver. Tailwind – This is THE Pinterest Scheduling tool, and has helped me grow my Savvy Horsewoman account to over 20,000 followers (and takes less than 1 hour a week of my time). If you have a blog, in any niche, you need to get started with Tailwind. Click here to try for free. Later – This easy-to-use tool allows you to visually plan & schedule Instagram posts and auto publishes to your profile (no notifications required). I use the free version, which is more than enough with 30 posts per month. Sign up here. Dlvr.it – I use this service to keep my twitter feed updated with the latest posts from my favorite blogs (plus my own). You can just set it and forget it, and the paid plan offer even more cool features. Check it out here. RecurPost – If you don’t make it over to Facebook several times a day, this tool allows you to create an editorial calendar that will continually post your best content. It’s a great way to stay active, even when you’re not. Try it here. Take Action: Find a scheduling tool that meets the needs of each of your social media accounts. As a blogger, there will be many days where things don’t go as planned. Just roll with it! You might start your day with a technical problem, an urgent email, or maybe an exciting new opportunity that can totally derail your day. So don’t panic, it’s all part of the process and you can easily move tasks around (or drop them completely) if needed. I’ve also had weeks, and even a month, where I’ve been completely absent from blogging when life got crazy. Even though I don’t recommend it, the blog still survived (and continued to make a profit). Take Action: Make a list of tasks that can easily be pushed back in the schedule (or skipped altogether). When your blog grows, you’ll probably find your inbox is growing along with it. If you don’t learn to prioritize (and just say no!) you’ll find your working hours will all be spent reading and responding to the never-ending stream of emails. Anyone insisting on a payment rate well below your usual fee. Readers looking for free help or advice beyond the scope of what you’re willing to offer. Take Action: Create a system of flags, stars, or other tags to easily sort the most important emails and avoid distractions. Even if you can’t be sitting down at your laptop for more than a few hours a day, it doesn’t mean you can’t squeeze in more work. Share relevant social media content to your followers. Leave meaningful comments on other blogger’s posts. Pin to your Pinterest boards while watching TV. Listen to blogging podcasts while you exercise (my favorites are ProBlogger and Theory of Content). Find potential guest bloggers and connect on social media. Brainstorm new post ideas and save notes on your phone. Take Action: Find at least 3 times a day to get quick tasks done on your smart phone. If you’re schedule is limited, the last thing you want to do is chase after every new money making strategy that you come across. While some of these tactics may be beneficial, it’s usually best to stick with what you know will work with your audience. For most small bloggers, that’s a combination of affiliate marketing and sponsored posts. Both of these options can work quite well with a small (but targeted) audience and generally don’t require a lot of time. 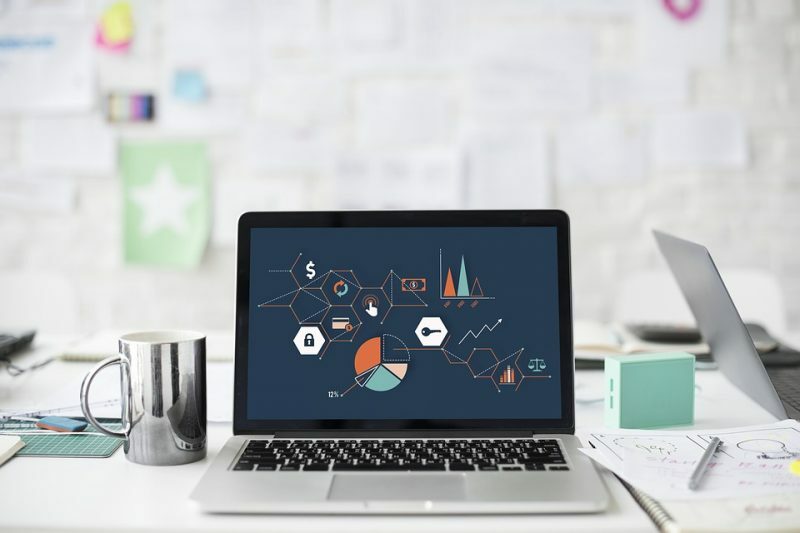 To get started making profits, I recommend learning from the pros and making the investment in a specialized online course. I got on track so much faster once I had clear instructions and a supportive community for guidance. Making Sense of Affiliate Marketing – This step-by-step course teaches you everything you need to know about affiliate marketing. Get started now. Ana from The She Approach also has a FREE 5 Day Email Video Course to help your implement an affiliate marketing strategy. Sign up here. Making Sense of Sponsored Posts – If you’re not earning money through sponsored posts, then you are leaving money on the table! This easy-to-follow strategy course gives you 5 modules, over 20 lessons, bonuses, an exclusive Facebook group, and much more. Find it here. Once you nail down a strategy you’ll be ready to start promoting products to your readers the right way (and make a profit!). Take Action: Choose one income strategy and find a course, guide or resource to learn from the pros. Set 1 goal to achieve this week, 1 goal to achieve this month, and 1 goal to achieve this year. Write down every aspect of your blogging schedule, and see how you can make your week more efficient. Create a checklist of goals for every post. Don’t hit publish until you’ve got it all covered. Find scheduling tools that meet the needs of each of your social media accounts. Make a list of tasks that can easily be pushed back in the schedule (or skipped altogether). Create a system of flags, stars, or other tags to easily sort the most important emails and avoid distractions. Find at least 3 times a day to get quick tasks done on your smart phone. Choose one income strategy and find a course, guide or resource to learn from the pros. 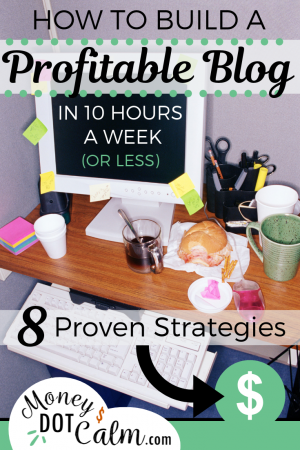 Are you working towards building a profitable blog in 10 hours a week (or less)? Share you questions and tips in the comments below! This is all new to me. But my horse turns 22 this month and I have been killing my budget on his feed at 23.00 dollars a bag as he has lost some teeth. Since my husband passed it has Been a stressful time taking care of him. But I am determined to take this to the end. (He took care of me when we were young and I’ll take care of him while we are old) I think this will be very helpful.